Excellent condition! 800 shipped to conusa! Rosewood fretboard. mother of pearl inlays. 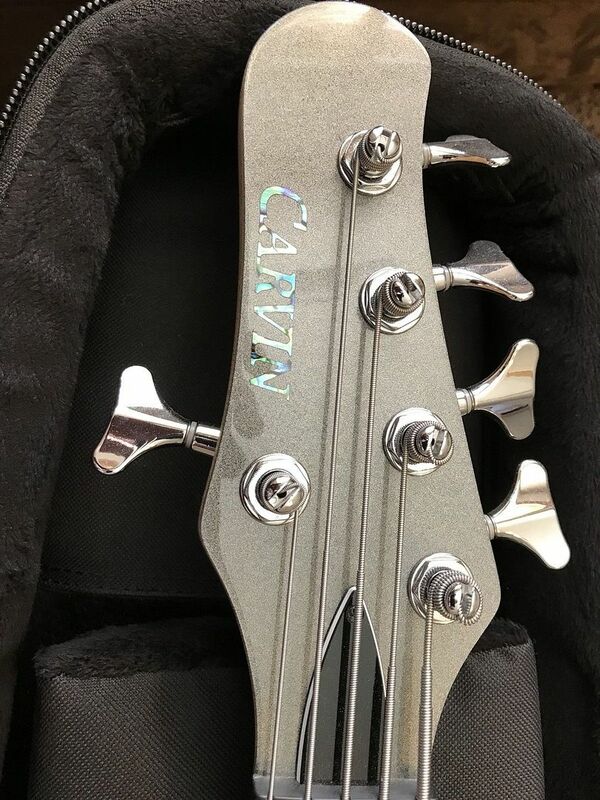 Carvin soft shell case. price drop to $750 shipped to conusa. Price drop $650 shipped to conusa. What is the body wood? 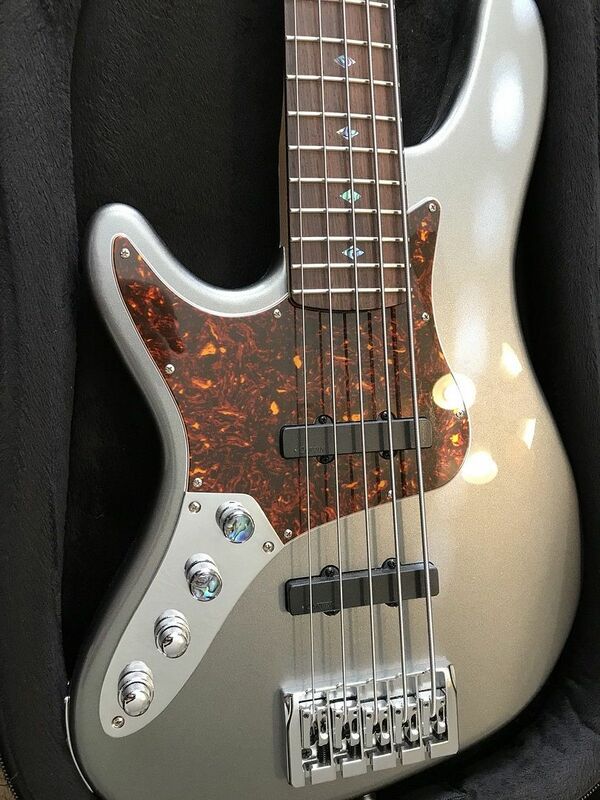 I ordered this bass new. It's a great Carvin. Very light. Pickups are Carvin with active Carvin preamp. Body is chambered ash. $650 is an absolute steal! Geeezus! 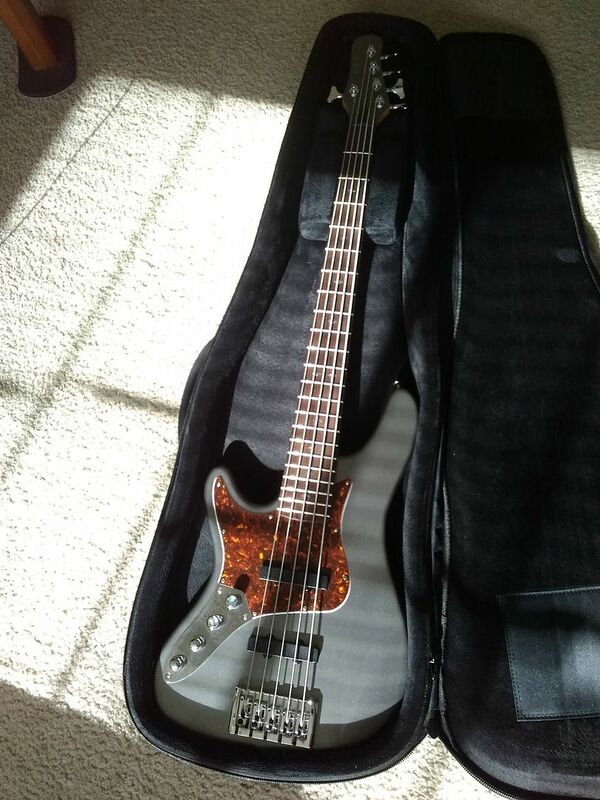 I paid close to $1500 for this bass. I just got out of the 5-string game and the modern J sound, but this is a killer playing and sounding 5-string. Plays like butter. Give this guy at least $850, c'mon. Would you trade for a subject archtop Harmony guitar from the 40s worth 650? Mine has a rosewood fretboard and weighs in at a little over 8 lbs.